I appreciate Brad Cole Construction. They stepped right up to the plate on this job site, and really hit it out of the park. When GPS was first introduced to the construction industry BCC became an early user of guidance technology for excavation and grading equipment. Today, BCC understands that state-of-the-art technology is a vital component in virtually every area of operation. 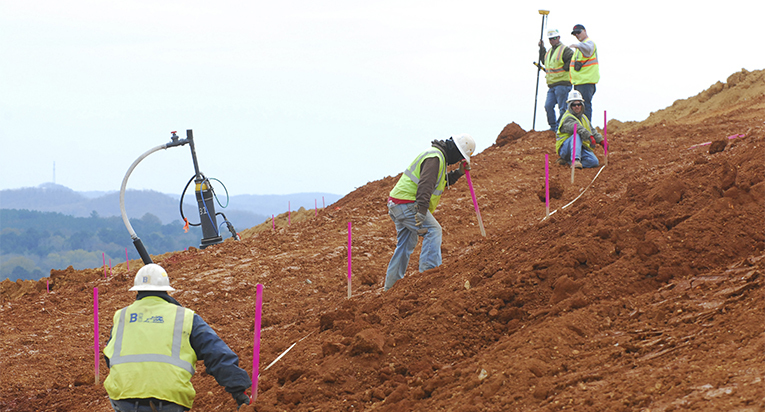 For project estimating and budgeting the BCC Estimators utilize Agtek Earthwork software to calculate earthwork volumes and material quantities. This software enables BCC estimators to quickly generate a detailed site analysis with the utmost accuracy. Agtek also enables their estimators to create a 3-D model of a project, and project managers use it to monitor an active project’s progress. Agtek is generally recognized as the industry leader in earthwork quantification software.